Black Star was a little project rendered in total of 2 weeks with Lightwave version 10 for windows. 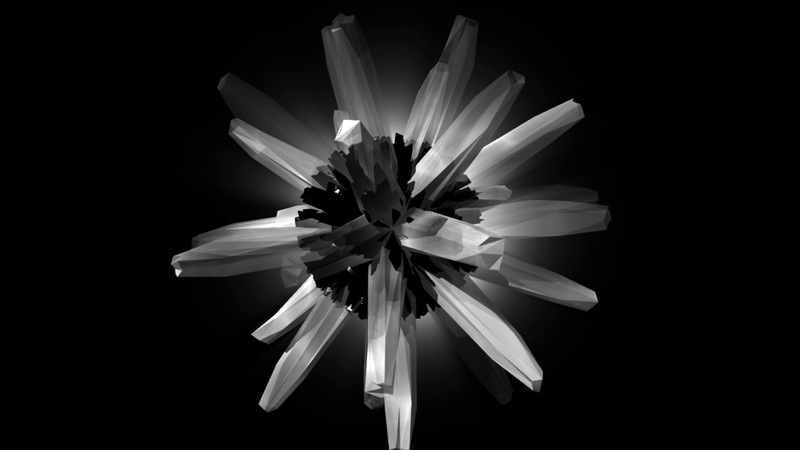 This was rendered using a thread mode of 3 cores leaving the 4th core on my machine to do whatever I feel like. It was very simply generated using bevel, extrude, and jitter with a polygon multiply to add a little bit of chaos to each one. Black star was originally intended to be a small icon on a old website very long time ago. It has now been rendered at 1080p for your viewing pleasure. Unlike a lot of my video conversions. It’s actually had a hard time compressing it due to the white volumetric light that I had in the background of the scene. as a result, bit-rates for black star will be a little on the high side. All of the video conversions even the ogv was around 5mb in size. The project files have been rendered with a very simple Lightwave scene and a two-layer object file that is key-framed and animated at different axis’s. The project file is available in our downloads section or if you would like you can simply click here to get a direct link to download the project file and render it yourself. The object itself was just a sphere that had all sides beveled, Then the polys were multiplied once, added a little bit of jitter and multiplied again to give that rough look about it. I would have loved to add reflective render to this but my computer kept locking up every time I tried on a object as simple as this.